MOSCOW, January 22. /TASS/. Russia has confirmed interest in signing a peace treaty with Japan on the basis of the 1956 Declaration, President Vladimir Putin said after talks with Japanese Prime Minister Shinzo Abe on Tuesday. "Naturally, we discussed the outlook for concluding a peace treaty," Putin said. "We reaffirmed our interest in signing this document." "At the meeting in Singapore (in November 2018) we agreed to proceed with the negotiating process on the basis of the joint declaration the Soviet Union and Japan signed in 1956, which above all envisages the conclusion of a peace treaty," Putin recalled. He remarked that at Tuesday’s meeting the two sides "spent a lot of time" on the issue of the peace treaty. The two countries’ foreign ministers were commissioned to coordinate this work. The first round of negotiations, he said, was held in Moscow on January 14. The results of the negotiations in the Kremlin were reported to the Russian and Japanese leaders. "Let me point out that painstaking work is ahead for us to create conditions for achieving mutually acceptable solutions," Putin said. 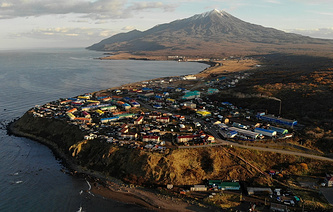 "The task is to ensure long-term and all-round development of Russian-Japanese relations at the proper level." He pointed out that a future solution the negotiators were yet to propose "should be acceptable to the people of Russia and Japan and supported by the public at large in both countries." In conclusion Putin thanked Abe and all other participants in the negotiations for what he described as "useful and meaningful exchange of opinion." "I believe that this visit will certainly benefit bilateral relations and take us closer to resolving the key issues of our cooperation," he said. "If we talk in general, the cooperation between Russia and Japan is moving positively on the economic track, and there are obvious achievements. However, in our common opinion with Shinzo Abe, a qualitative shift has not yet occurred, and the potential of cooperation between the two countries is not fully explored. Therefore we have discussed the idea of developing more ambitious plans to expand economic ties in key areas, from trade to investment and technological cooperation," Putin told reporters after the talks with Japanese Prime Minister Shinzo Abe. According to Putin, "in the near future it would be possible to set a goal to increase the trade turnover between Russia and Japan 1.5-fold - at least up to $30 bln." 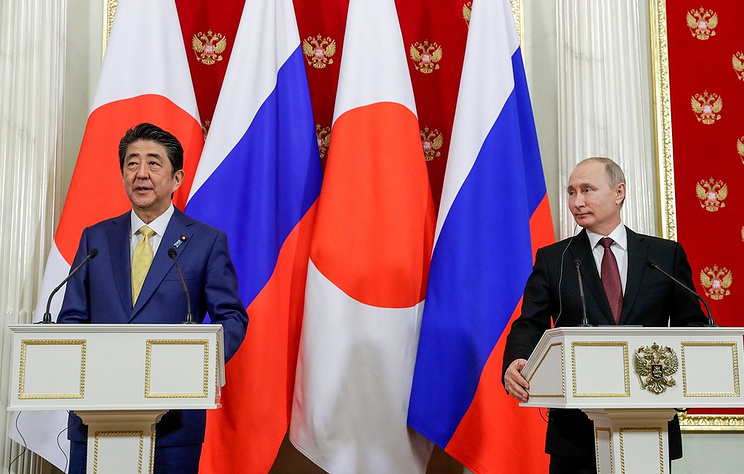 Speaking of cooperation between Moscow and Tokyo in specific sectors of the economy, Putin noted, in particular, expanding cooperation in the field of transport and infrastructure. "The development of regular transport links along the Northern Sea Route for LNG exports to Japan and the states of the Asia-Pacific region is seen as promising," he added.